Meet our March Advisor of the Month! Congratulations and thank you to Othman Talib! Othman became an Advisor just last month after letting us know about the hundreds of seminars he was teaching all across Malaysia since 2011. How Othman managed to stay under our radar for a long time…we don’t know how, but we are sure glad to know him now! …and so on. If you can’t tell, Othman really loves his acronyms. Have you seen a common theme in his acronyms? “As you notice my name is OT (Othman Talib) and now I’m OTFM (Official Trainer for Mendeley)!! People and friends call me just “OT” or “Dr. OT” he said. Othman has written a book about Mendeley in Malay and is now working on its English translation. How did you get into research and what do you research? I received a Bachelor in Chemistry, Master in science education (both in Malaysia) and Doctor of Education in Science Education from The University of Adelaide, Australia. I’m interested in research regarding science animation and now in the process of developing Apps for Organic Reaction Mechanisms. How long have you been on Mendeley?What were you using prior to Mendeley? I used EndNote during my studies. Then in 2010, I tried Mendeley because its free!! I was so surprised Mendeley is so easy to learn and then I started to use it in my research. Then I posted the steps of using Mendeley in my blog and now my blog is approaching 1 million reviews! I just love to share with others in the Mendeley Advisor group. I’m a lecturer of Research Methodology at Universiti Putra Malaysia. I’m also a consultant for my university as well as a speaker for Malaysian Postgraduates Workshop Series. I’m also an advisor for few government agencies. Most of the institutions invited me because they want to learn Mendeley from me. I wrote a lot about Mendeley in my blog, as well as in my Facebook. I have thousands of friends in facebook and thousands of followers for my blog. My books such as ZDOT and Mendeley are also sold out and need to be reprinted!! Feel free to explore my Facebook and blog. You can see the word Mendeley even if you don’t understand the Malay language. I have my own books and my books are the best!! I not only teach the participants how to use Mendeley, but also how to use it effectively. I have written another book entitled “Research and Thesis: If I had only known” which motivate readers the fact that writing thesis / proposal is far easier with tools such as Mendeley. I love to explore. I love to share and teach. I already won 3 gold medals for my animation and got the opportunities to present my research at the international level. Nothing….. every single day is waiting to explore !! A free brilliant reference manager ! This week saw the release of a new Pew Research Center report that explores America’s engagement with public libraries and the ways in which the digital era has changed our reading habits. Entitled “From Distant Admirers to Library Lovers – and Beyond: A Typology of Public Library Engagement in America”, the report found that public libraries continue to play a significant role in the lives of 69% of Americans. E-book reading is at an all time high. The authors also found a strong connection between Americans’ use of technology and engagement with libraries; the better connected we are, the more likely we are to seek out and use new information. That means that the internet, video games and television have not replaced the book just yet. In fact, e-readers have given us easier access than ever to literature, though the study showed that most Americans still read print books as well. We like to think the same is true for those of us in academia. When access to information is easier, we’re more likely to use it to enrich our own writing. By managing our books and articles more efficiently, we also engage more with new research, and we can follow trends and innovations in our field. Fortunately, open access combined with reference managers such as Mendeley puts your entire digital library at your fingertips, so you know you can rely on us to help you find what you need and to suggest the newest research! And all that, we hope, gives you more free time to focus on your research and the other things you love in life. We’d love to hear from our readers. Does this report surprise you? Do you go to the library more or less often than you used to? Does new technology mean you borrow more ebooks or do you spend more time reading open access articles? What makes your local or university library great, and what could make it even better? Leave us a comment here, on Facebook, or Tweet us @Mendeley_com! One of the great uses of public groups on Mendeley is maintaining a curated set of references about a given topic. This can become really handy for many different reasons. One of which might be the maintenance of a reading list. For this post, we will use the example use-case of a teacher that wants to maintain a reading list for their class. By creating an invite-only public group on Mendeley, you can put together a list of references along with anyone you invite to the group. So, in our hypothetical teacher story, some potential invitees would be students or teaching assistants. Our teacher needs a website where the reading list will be embedded. Next step would be to create a public invite-only group to store the references they’d like to have listed on the website. This can be done in Mendeley Desktop or Mendeley Web. 3. Once the group is created, the teacher (or an invited member of the group) can add references to the group folder. Simply drag and drop references or PDFs into the group. 4. With the references added to the group, it is now possible to go ahead and get the necessary code to embed the reading list on the class website. The appearance of the embedded code can be customized via a set of option. 5. Once the HTML code is added to the website, it now dynamically updates whenever the reference list is updates within Mendeley Desktop. No more editing HTML or making changes to the website code. By using the embeded code, no further HTML code is required to maintain the website. This means that next year, if the reading list needs updating, it’s simply a matter of adding, removing or updating references in the Mendeley Group. Scopus Now Features Mendeley Readership Stats! A new feature on Scopus now shows users what the Mendeley readership statistics are for a specific article. The beta version has just gone live last week, and now it’s possible not only to see how many times a paper has been downloaded to a user’s Mendeley library, but also to view a handy breakdown by demographics such as what discipline those researchers belong to, what their academic status is, and their country of origin. These stats will automatically show up on the Scopus Documents Details pages if at least one Mendeley user has saved the document to their library, together with a link back to the record on Mendeley (if not, then nothing will show up for that document, similar to the way that the Scopus Altmetric.com widget works). Since 2012, Scopus has shown altmetric.com information, but the added Mendeley demographic breakdown adds another layer to that, giving a much more comprehensive view of an article’s impact, available instantly at a glance. This means that when trawling through hundreds of abstracts (something that as a PhD student I have to do on a regular basis, so I feel your pain) you can quickly gauge which papers might be most relevant by seeing how many colleagues in your discipline have the document in their Mendeley library. As well as saving you time, the feature enhances citation metrics because Mendeley readership demonstrates alternative types of academic influence. Research has shown some evidence supporting the fact that Mendeley readership counts correlate to some extent with future citations. On the other hand, the most read article on Mendeley, “How to choose a good scientific problem” (Alon, 2009), with nearly 55 thousand Mendeley readers, only has 5 citations on Scopus. It’s therefore not too unreasonable to think that you’d be in a much better position to make an informed decision about that paper’s impact if given both types of readership stats rather than just the one! More details are available on the Scopus Blog and you can also email the Scopus team with your feedback! Mendeley is pleased to host guest blog posts from our Advisor Community on research life, collaborations, and workflow. Here Jorge Sinval writes about the connections he has made through his work as an Advisor. Mendeley represents a lot in my professional life: it made some important connections possible, and transformed my network. I’m a double degree PhD student in Psychology from the Faculty of Psychology and Education Sciences of the University of Porto, and, Faculty of Philosophy, Sciences and Letters of Ribeirão Preto of the University of São Paulo. I first have to thank to my supervisor, Professor João Marôco (ISPA – IU), and to my co-supervisors, Professor Cristina Queirós (FPCE – UP) and Professor Sônia Pasian (FFCLRP – USP). They always support my Mendeley events, and the time I spend on them. Through them, I was able to make some especial contributions to Mendeley, such as faculty lessons. Mendeley gave me the opportunity to meet Professor Carlos Lopes (ISPA – IU). He helped me improve my events performance, and, with his help, I was able to with develop various Mendeley events in ISPA, including one with the rector, Professor Rui Oliveira and his research team. He also gave me the opportunity to participate in a national meeting for the Higher Education librarians, where I did a Mendeley event. In this event, I met a lot of librarians from all over the country, and many of them helped me find journal articles. One of my working projects is a systematic review with metanalysis, for the Cochrane Occupational Safety and Health Review Group. In order to accomplish this work, I need to have access to the maximum amount of databases. With Mendeley, I was able to meet a librarian from the Rectory of the University of Porto, Manuel Montenegro, and with him I could fill the list of the most pertinent databases for my study. He also helped me to design a special workshop for University of Porto librarians that took place in the “Old Collection” room, a space with a lot of history for our University. Another interesting opportunity that Mendeley created for me was a meeting with a specialist in one of the areas of my interest. I met his PhD student in one of my Mendeley workshops and because I had a folder with the name “Job Insecurity”, she was able to connect me to her co-supervisor, who was visiting Portugal. Through these connections, I was able to request the loan of a three volume book, from the only copy of the handbook in my country. It is like a Bible in my area of research, and it deserves the weight of carrying it. My most recent event was at the ISCTE – IUL in Lisbon, where my brother, João Sinval, studies. I talked to the librarian Teresa Segurado, and the session occurred, it was one of the largest sessions I have given, as well as the most heterogenic, from graduate student to the pro-rector, Professor Susana Carvalhosa. Interested in writing a guest blog about your research life? Email Shruti Desai shruti.desai@mendeley.com. If you work in experimental sciences – biology, medicine, chemistry, physics or any other discipline where you do experiments in the lab – there are several reasons why you read scientific literature. The primary motivation might be to learn what other people did that relates to your research – and how they did it. Second, you want to know which papers describe the basis for your experiments, and you want to cite them correctly. Third, you would like to share useful papers with your colleagues. Wouldn’t it be nice to have your scientific library right in your lab notebook, where you can search, read and cite all your papers of interest? We thought it would be – and that´s why we integrated Mendeley into Labfolder. Like Mendeley, Labfolder is a free tool to make research easier, more organised, and more collaborative. 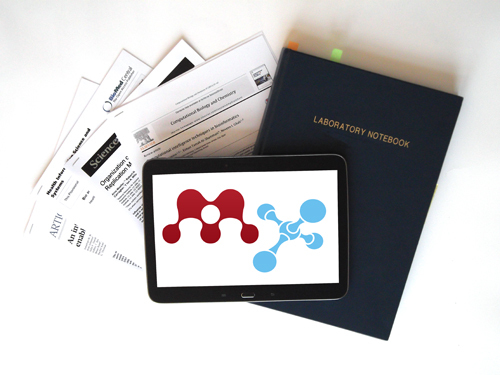 Labfolder is a digital lab notebook which allows you to collect all primary research data on a digital platform instead of a paper notebook. With mobile apps for smart phones and tablets, you can collect data and take notes anywhere, and reusable and shareable protocol templates and group functions help you to exchange knowledge and speed up your research. Upload your Labfolder experiments to Mendeley to attach them to publications and share them with colleagues. labfolder Mendeley integration from labfolder on Vimeo. With the integration into Mendeley, it has become a lot easier to link experimental descriptions to scientific publications. Very often, the technical details of how a scientific discovery was achieved is heavily edited and compressed, making it very hard for researchers to extract the necessary information. Linking experimental descriptions and publications, and sharing these links as well as the detailed content will help enormously to bridge this gap. With its recommendation engine, Mendeley offers a powerful tool to identify interesting content. It provides helpful navigation in the endless sea of data and content – for publications as well as for experimental descriptions – and helps researchers to find the data they need. Thus, Mendeley is an ideal platform for sharing experimental details: You can reach an interested audience and get credit for your research. To protect privacy, however, all Labfolder uploads are private by default and marked in Mendeley as ‘unpublished work’ so nothing will be shared until you are ready for it to be. Sharing of scientific data is becoming more and more attractive: Apart from the fact that US researchers get credit for shared data in publications, studies have shown that scientists who share their data get cited more often. We hope you enjoy the new features in Labfolder brought to you by Mendeley! If you have more great ideas about how to improve the use of scientific literature in Labfolder – or Labfolder itself – get in touch and let us know!